Not every page a visitor arrives at is the home page (and it’s the one you have probably spent most time getting right). Organic search results could send a possible customer to a page deeper into your website (a page that may not be as highly optimised, focused or targeted). Landing pages are often discussed primarily in relation to Adwords and are extremely important in relation to PPC advertising and conversion. A good idea when building any page on your site is to treat it as if if was a one-page mini-site and write it as if it was the only page a visitor might land on and see. A complete explanation of the reasons each of the above are important and why is outlined on TheGrok site. Not all are as important as others, however, keeping them in mind or, better still, at the forefront of your thinking will help to keep your focus! What is important, and highlighted in relation to ppc and ad copy, is the scent or motivation behind clicking an ad is followed through onto the landing page so the aroma draws the visitor in, on, and towards your required goal. 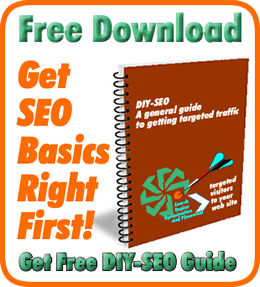 It also plays a role with regards to every page of the site. Exactly the same relevancy of scent can be applied, albeit to some lesser degree, for search landing pages (ie every page). As highlighed, above, not every visitor will land on your home page. Well scented landing pages help reduce bounce rate and increase visitor satisfaction. Poorly optimised pages lead to high bounce rates as the term/keyword scent isn’t followed through effectively onto the page. The visitor can often be left hanging, not knowing what to do or where to go next, and it’s estimated that you might have less than 10 secs so having an effective landing page will help to convince them to stay. Bounce rates are a quick, easy and simple measure of page effectiveness. Well themed pages will reduce bounces, maintain visitor interest, engage more and boost the chance of conversion. It’s not too difficult, with use of your analytics, to identify the sending keywords for just about any visited page and either customise and better optimise the page or create another which is more tightly focused and maintains that all important scent. Try it yourself, do a search for one of your keywords and view you landing page. Can you say Ah! 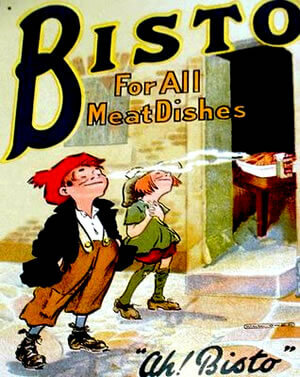 Bisto for them all?